Jo Ellen Wilson, MD, MPH, graduated from Belmont University in 2004 (B.S. Biology) and Vanderbilt University School of Medicine in 2009. Dr. Wilson joined the Vanderbilt Department of Psychiatry Faculty in 2014. 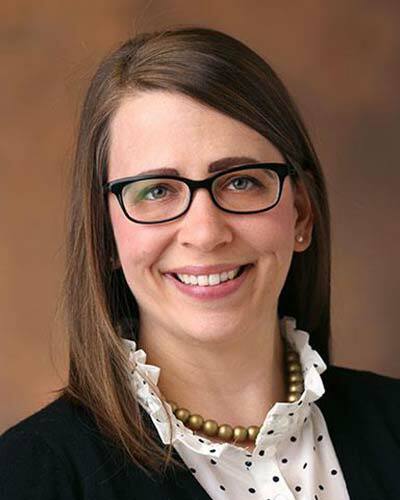 In the interim, Dr. Wilson completed both her General Adult Psychiatry Residency and Psychosomatic Medicine Fellowship at Vanderbilt in 2013 and 2014, respectively. Dr. Wilson currently holds joint full-time appointments in both the Vanderbilt Department of Psychiatry as an Instructor of Psychiatry and at the VA (Tennessee Valley Healthcare System) as a VA Quality Scholar. Dr. Wilson recently graduated from Vanderbilt University School of Medicine's Masters of Public Health program (Epidemiology Track) and is currently pursuing a PhD in Epidemiology at Vanderbilt University. As a proud native Nashvillian, Dr. Wilson enjoys spending her time outside of work, at one of Middle Tennessee's great parks with her family. She is board certified in both General Adult Psychiatry and Psychosomatic Medicine (Consultation Liaison Psychiatry). Her recent research efforts include studying the prevalence, severity and diagnostic structure of catatonia across multiple medical settings. Her current work includes a prospective cohort study, studying the prevalence and clinical relevance of catatonia in the critical care setting. For more details of her work, please contact her for a copy of her Curriculum Vitae.